One of the things I really love about this blog is it allows me try new products and share them with you! Growing up in an Italian family, food was a big part of our lives, not just during holidays but everyday. Even though my Mom does not cook now, she is enjoying my new found joy of cooking! When you have a Mom who is a fabulous cook, there is really no need to dabble in it. My father loved watching the Food channel and was always telling my Mom new things to try in the kitchen. 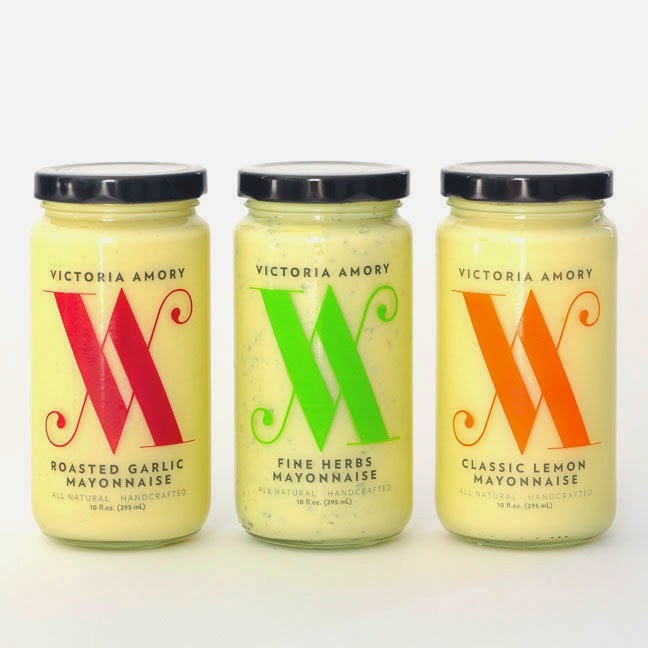 When the kind folks at Victoria Amory contacted me about trying her condiment line, I was pretty excited. Gourmet mayonnaise is so big right now, not only for sandwiches but also as a dipping sauce for various foods. We were able to try her Classic Lemon Mayonnaise, Fine Herb Mayonnaise and Champagne Ketchup. Sounds amazing, doesn't it ? Marinade the steak with 1/2 cup of VA Smokey BBQ Ketchup for 4 hours maximum. Once the grill is very hot, grill the steak for 3 minutes per side. Remove and let it sit for 5 minutes for the juices to re-absorb. Cut the steak in 4 pieces with the grain and in 1/4 inch slices against the grain. Toast the sliders buns and spread with Smokey BBQ Sauce. Pile one or two stake strips and a teaspoon of coleslaw on each bun. My gourmet mayonnaise collection is inspired by the flavors and aromas of the Mediterranean coastline. From the citrus groves in the Andalucian countryside to the verdant Basque region to the bubbly Mediterrean coast, these delicate mayonnaises bring the traditional flavors of my family's kitchen to your table.Each mayonnaise is handcrafted with premium ingredients such as fresh lemon juice, fine herbs, pressed olive oil and real eggs to elevate your everyday meals into everyday feasts (and they make a wonderful gift!). 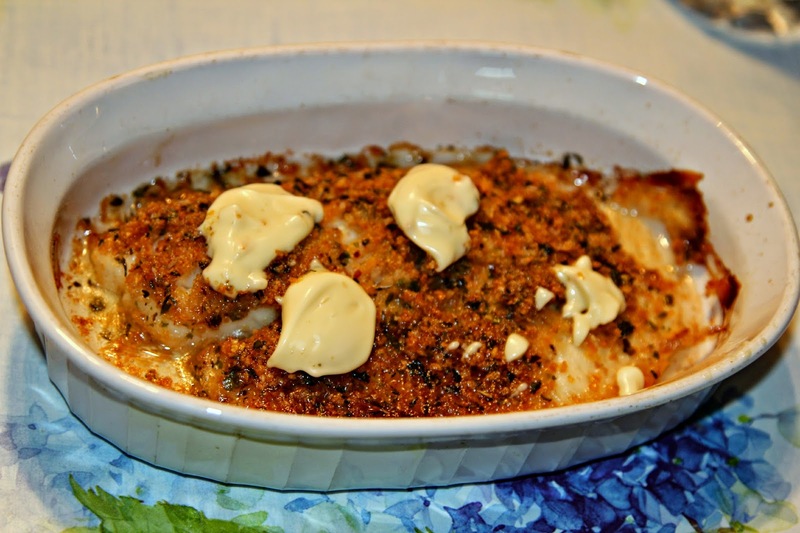 We tried the Classic Lemon Mayonnaise with some baked tilapia I made, just a few dabs on top. My Mom said it reminded her of Meyer lemons! Such a wonderful flavor, very creamy, a great compliment to the fish. I think this would also be really amazing on crab cakes. Deviled eggs came to mind as well, but really, this would be good with just about anything! I can see these being used for many things, I really love gourmet mayonnaises as they give that punch of extra flavor in your dish. Now you see in restaurants they are used as a dipping sauce for french fries ( I prefer mayo than ketchup), onion rings or any other type of finger foods. The other thing I really liked about these products is the fact you can read all the ingredients. 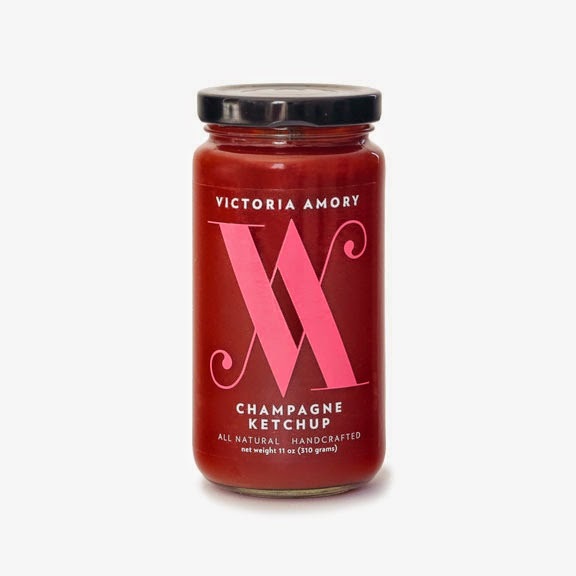 The Champagne Ketchup is really wonderful, and can be used to make a bloody mary at the drop of a hat! Ingredients:Water, Tomato Paste, Brown Sugar, Champagne Vinegar, White Distilled Vinegar, Extra Virgin Olive Oil, Salt, Spice, Onion Powder, Citric Acid. If you are a foodie, I do hope you give these a try, you will not be disappointed. They also make a fabulous gift for your family and friends who enjoy making good food great. We will be ordering more when our bottles go empty, for sure, and I also look to try some of the other products in her line as well. Please let me know if you do try them, I always love feedback from you! 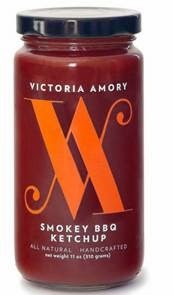 You can purchase products at the Victoria Amory website directly and I would sign up for her newsletter so you will know about the new items as they become available. Disclosure: I was provided with 3 products from the Victoria Amory line to write this review. There has been no monetary compensation for writing this content. All opinions are my own based on my experience with the products.